Blackreach Rebuilder is a common Neutral creature card. It is part of the Heroes of Skyrim expansion. 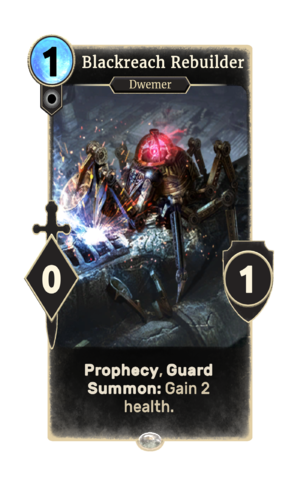 This card is named after Blackreach, which first appeared in Skyrim. This page was last modified on 24 September 2018, at 22:26.